FOOTBALL journalist Adam Goodwin (@AGJournalism) takes a look at Saturday evening's Premier League contest between Brighton and Burnley. After a slow start to the season, Burnley have now started to hit some form. Sean Dyche’s side are now unbeaten in six league games (W3-D3-L0), crucially getting points from teams around them in the division. The Clarets have only lost one home games against fellow teams in the bottom-half, also beating Cardiff and Huddersfield away from home. However, those are the only two games they’ve won away from home in the league and their only decent away performance came at Old Trafford in their 2-2 draw last week. This current run of form makes it hard to judge what mood they might be in on Saturday evening, so I think I’ll dodge backing them in the win market here. Goals-wise, it also varies when it comes to Burnley’s games. They’ve seen Over 2.5 Goals in 14/25 (56%) of their games and Both Teams To Score in 13/25 (52%) of their matches this season. They’ve had a 2-2, a 5-1 and a 4-2 but also plenty of 1-0’s and a 0-0, so it’s hard to tell what Burnley might turn up here. Unlike Burnley, Brighton are in a rotten run of form and have won just one game in their last 10. That was a 1-0 win over Everton, who are also struggling, and Chris Hughton could really do with a win at the Amex on Saturday. Their home form, however, is impressive. They’ve lost just three games at home this season, and that was to three of the current top four (Chelsea, Tottenham, Liverpool). Seven of 12 (58%) of these games have seen Under 2.5 Goals and they’ve scraped three 1-0 wins which might be something to keep an eye on. 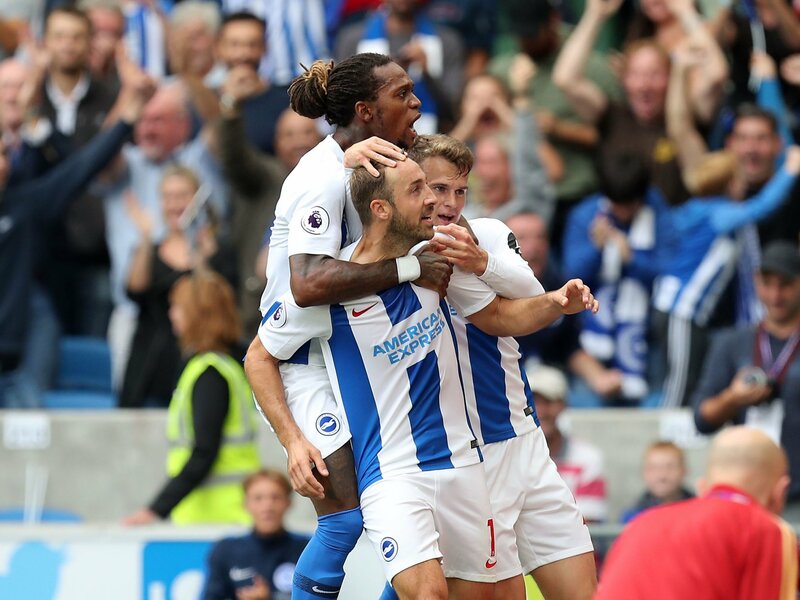 Glenn Murray came off the bench to fire Brighton to the Last 16 of the FA Cup on Wednesday, as the 35-year-old scored two goals in extra-time to knock West Brom out at the Hawthorns. That’s his 12th goal in 27 games in all competitions and the veteran centre-forward seems to be getting better with age. Seven of Murray's 12 goals have come at the Amex and after his brace midweek, I fancy him to get on the scoresheet once again here. The Bet365 BetBuilder secured me a winner last weekend as I went for Cardiff to win or draw and Over 1.5 Goals, and I’m going to use it to try and find a winner once again. I want to get Brighton onside here because of their superb home form, but having played on Wednesday, I don’t think they’ll be at their best. Their games also tend to be low-scoring, so I’m going to culminate that into a BetBuilder, along with Mr Murray to grab another goal. So, Brighton to win or draw, Under 4 Goals and Glenn Murray to score is a chunky 3/1 and I like the look of that a lot. I’ll also have a small wager on Murray to score first and Brighton to win 1-0, which has already happened twice this season. That’s 12/1 with BetVictor.